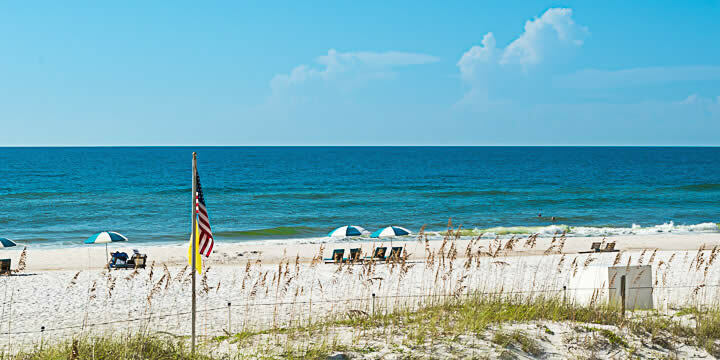 The twin Perdido Towers in Perdido Key sits directly on the Gulf Coast, with Old River and private boating facilities just across Perdido Key Drive. Built in 1982, the resort consists of two ten-story buildings with a beautiful pool in between. Two bedroom condos are priced just under $400,000, and larger three-bedroom units go up to the low $500,000's. 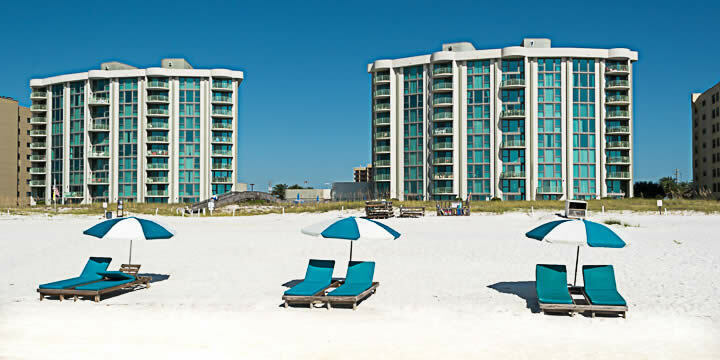 Balconies offer perfect views both the Gulf the beach at Perdido Key below. These elegant condos were renovated in the mid-2000's, and offer all the upgrades you would expect in a luxury resort. Floor to ceiling windows throughout take advantage of the views, beautiful tile flooring is easy to maintain, and huge designer kitchens with granite countertops make it a pleasure to prepare meals at home. Most master bedrooms have access to the balcony. The amenities of Perdido Towers are fantastic as well. An extra-large gulf-front pool and deck on one side complement ample parking facing the street, with three tennis courts, boat docks and storage is only steps from the towers. Inside, secure coded entry access leads to a recreation room with a fitness center and a private mail room. A short stroll or boat ride will take you to the famous Flora-Bama Yacht Club and restaurant, or The Crab Trap for a seafood extravaganza. Old River offers deep-water access both to the bayou or the Gulf Coast. The Perdido Key State Park is just down the boulevard as well. If you are looking for the perfect Florida lifestyle in a maintenance-free condominium, the Perdido Towers offer it all. Let our experts show you what they offer. Call us for a tour or more information.